Since early 2004, visitors from across the Southeast have been using a tear-resistant and waterproof topographic map and guide for safely enjoying the natural wonders of the 23-mile stretch of easy flowing water of the Lower Broad River Blueway. 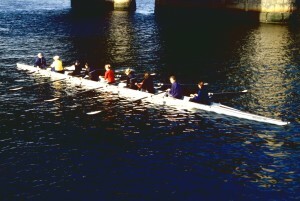 Blueways are a relatively new recreational trend in North America. They designate a trail open for access on and from the water, perfect for the paddling community. The Broad River Blueway Map and Guide developed by the River Alliance and its partners Harbison State Forrest, South Carolina Parks, Recreation and Tourism, Columbia Regional Sports Council and Richland County is available at area outdoor merchandise retailers as well as the Harbison State Forrest Headquarters. 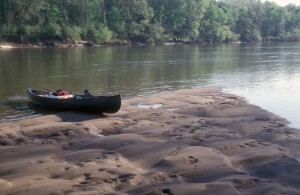 This picturesque stretch, The Broad River Blueway, offers a unique outdoor adventure for canoers and kayakers of all skill levels. 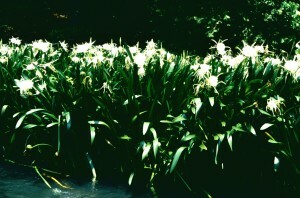 From the Rocky Shoals Spider Lily that blooms in magnificent splendor from mid-May to Mid-June, to bald eagles, river otters and large and small mouth bass, there is no shortage of scenery for the nature enthusiast. locations of parking, restrooms, the campground and access roads along the Blueway. From the put-in in Peak, South Carolina, it is a 4-6 hour leisurely paddle to Harbison Forrest. One can picnic on the river or take-out at Harbison Forrest and camp in the pines. To continue on, is a short two-hour paddle to the I-20 bridge and the Richland County River Center take-out. For those with a shorter trip in mind, there is a put-in at Harbison Forrest and take-out at the Richland County River Center at I-20. 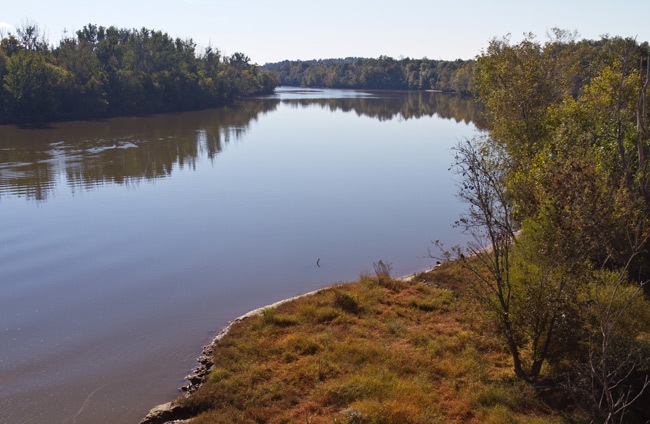 The Broad River originates from the Appalachian Mountains of North Carolina, flowing through the South Carolina Piedmont, where it joins the Saluda River, which forms the third of the Midland’s rivers, the Congaree. If you would like to purchase a copy of the Broad River Blueway map, please contact the River Alliance at (803) 765-2200.